Steve Cattle 6th Dan W.K.S.A. Tribute to a True Martial Artist. JKA Eurocamp 1995. Report By Phil Freeman. 'Outside tension' stances. By John Cheetham. 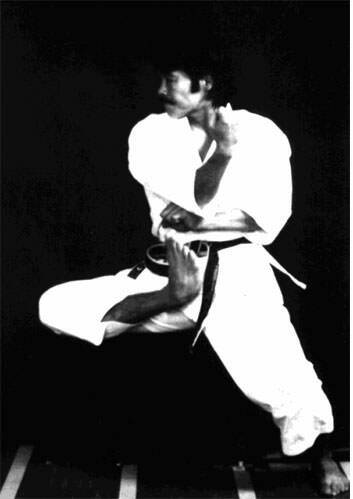 Hiroshi Shoji 8th Dan JKA. 'Portrait of a Master'. By J. Cheetham. Karate-Do, Kihon and Kangeiko. By Gwyn Mowll. MartiaL Arts Instructors Don't Only Teach 'Technique'. By Ian Deavin. A Matter of Degree? By Brian R. Fey. Master Hidetaka Nishiyama Seminar. Report By John Cheetham. 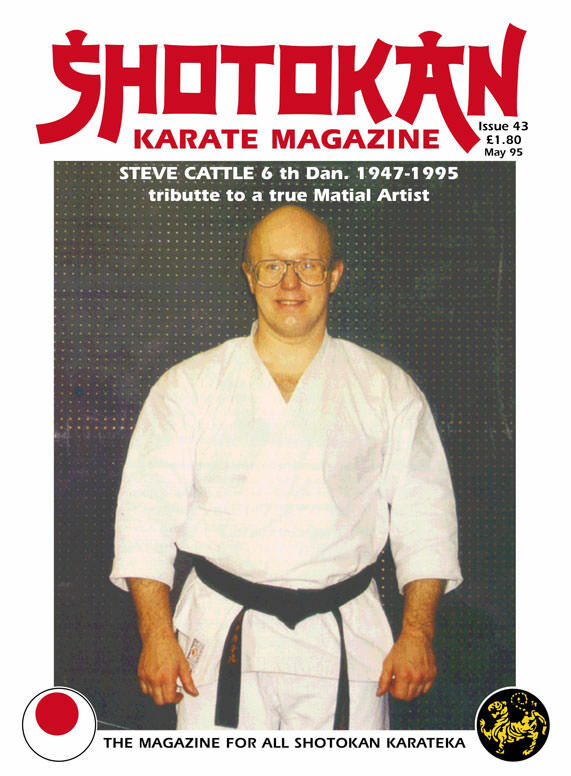 This is a very sad time for Shotokan people in the U.K. after the recent tragic death of one of Shotokan's true stalwarts, Sensei Steve Cattle 6th Dan who will be sadly missed by all his many friends and students. Our thoughts go out to his family and friends. 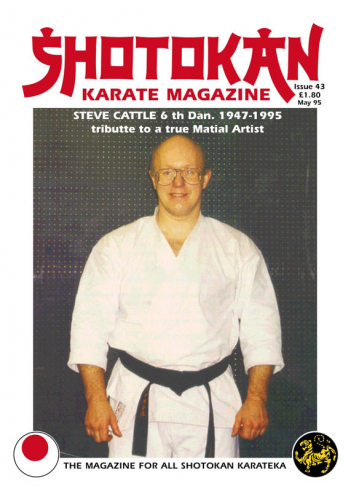 I decided to re-print some of the ideas, technical and historical views Steve had shared with us in previous issues of SKM as part of the tribute to this great Karateman, as opposed to doing a list of his many achievements and competition successes which I think other martial arts magazines will cover. We had a tremendous response to the last issue with all the technical features. Hopefully we have more technical information for readers in this edition. Keeping the momentum going is not as easy as it seems (with magazines). 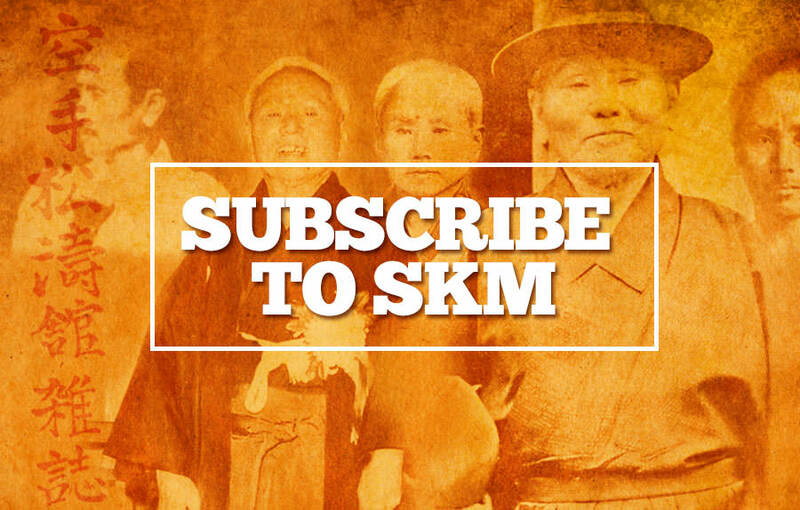 However, judging from the many letters we receive, SKM is on the right track and publishing technical information that readers have sometimes never seen before. There are many faces to SHOTOKAN Karate-do and we try to give you an overall fair picture of what is going on in the Shotokan world. Our policy is to feature everyone regardless of affiliation. In this issue we have a wide variety of articles including a profile on the executive director of the JAPAN KARATE ASSOCIATION and one of their most senior instructors, Master HIROSHI SHOJI 8th Dan. These profiles and interviews with the senior Japanese instructors are immensely popular with SKM readers and we try hard to keep them coming. Several courses are also covered in this edition and this seems to generate great interest. This is a way of finding out what all the various top instructors actually teach and emphasise in their classes. The other JKA group led by ASAI Sensei held a huge course in France recently and we have a great report from Phil Freeman. The notorious and very popular YAHARA Sensei was teaching on this particular event as well as giving a demonstration of his famous 'chair defence'. Virtually all the senior instructors from this JKA group were present, instructors who rarely venture outside of Japan. So, this was a very important European course. We have a seminar with Master NISHIYAMA one of the most famous of all Shotokan instructors who has resided in the U.S.A. (Los Angeles, California) since 1961. I can't help but continually be amazed at the speed, power and agility of these older Japanese Sensei's. They are all the same in this respect, NISHIYAMA, KASE, ASAI, KANAZAWA etc. This is the greatest advert for Traditional karate that anyone could possibly wish for. Imagine if you could get a T.V. programme to feature these people and show the outside world what karate is really about. I think this would do karate's image far more good than televising the usual mediocre karate coverage we see. Anyway, 'one day' we all hope! Please note the new postal address for any correspondence to the magazine (below) and on the subscription form (page 17) and also the new Telephone and Fax numbers. 'OUTSIDE TENSION' STANCE By John Cheetham. Push from the hips for the 'FEEL' of the back leg in zenkutsu. In my observations of karate and not only the Shotokan system, I think it would be fair to say that generally speaking Japanese karate differs from European and Western karate because the emphasis with the Japanese, with regard to making power, is from the naval down. Their power comes from the legs and hips, whereas with westerners it is generally completely the opposite and is from the naval upwards! (upper body power) even though westerners following the true Japanese technique try hard to emulate this lower body power, it is extremely difficult for the majority of people, for a variety of reasons. To expand on this I offer that Western style Boxing has probably had something to do with this and also the natural (western) body-type and build. Boxing is very natural for Westerners, karate in not! Western people generally have bigger upper bodies than Orientals and westerners rely on this upper-body power and of course there is nothing wrong with that as the sport and art of Boxing relies on throwing your 'weight' behind the blow. Orientals with their (generally) lighter upper bodies have to rely on power coming from the legs and hips. In Boxing, blows are thrown from the shoulder which relies heavily on the weight of the person throwing the blow. In Karate, blows should be instigated from the hips. Just listen to any of the top instructors and it's always the same advice - "Keep the shoulders relaxed and down, make power from the hips, lower stomach and legs." This is karate power, utilising the floor and getting your body pressure 'down' which is very difficult for westerners to comprehend. Although we all know about this, I have never really been shown any beneficial exercises to develop this pressure into the floor in 23 years of karate training, until recently that is. I hope this, as with all 'technical' articles, will help 'you' also. We have all heard about outside tension in the three basic stances - Forward stance (zenkutsu dachi), Horse stance (Kiba dachi) and Back stance (Kokutsu dachi). As opposed to inside tension for Cat stance (Neko ashi dachi), Hourglass stance (Sanchin dachi) and Half moon stance (Hangetsu dachi). Here we will focus only on the three basic stances (front - side - and back) and 'Outside tension'. So, how do we do it? It is most certainly nothing to do with how your stance looks! NOTHING AT ALL. It is about how your stance 'FEELS'. And there lies a massive difference. A very subtle difference which can make ALL the difference for the average person with regard to making solid contact with the floor and power from the legs - hips, with your body pressure down into the ground. Rather than do a series of pointless photographs and undermine the intelligence of the reader, everything relates to the two photo's in the article. One shows how to 'practice' for outside tension (left) and the other shows exactly how to 'Do' it correctly. OMURA Sensei's incredible nami ashi from kiba dachi (right opposite page). Phew!!! Regardless of whichever stance you are practicing the idea is the same. The same feeling as pushing against the wall and down into the floor. The only time you can't really use your arm against the wall is on front leg - forward stance and front leg - back stance. Try these exercises to get the FEEL of outside tension. Kiba dachi stance is probably the easiest to understand because your weight is distributed evenly as opposed to back stance and forward stance. Make kiba dachi side-on, push as hard as you possibly can against the wall with one leg, the other leg raised, as if you are pushing into the wall and pushing 'down' into the floor. (The same idea as the photo opposite (left) only this is for front stance practice). You must have your backside and tailbone tucked in and under, with lower abdomen and buttocks tight. Turn around and push against the wall with your other leg. FEEL like you are driving down into the floor. The wall will help you to get this 'feeling'. Then try your kiba dachi properly without using the wall and get the same feel in 'both legs' at the same time to attain this outside tension of the legs. This is why it is so hard to teach people stance tension because it is a 'feel' and not how it 'looks'. You can easily fix someone's stance by moving them around but you cannot 'feel' it for them. I always remember a great quote from Sensei MIKAMI, 8th Dan JKA (based in the U.S.A.) in an interview with S.K.M. a few years ago, when he said he did not like students using the mirrors in the dojo too much, he wanted them to get the 'feel' of karate techniques and not just the 'look'. Interesting point! 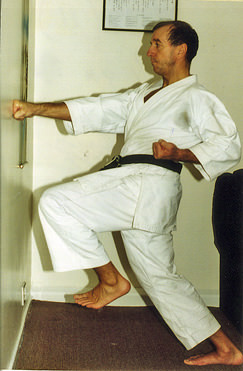 Another good exercise for kiba dachi is to practice - Nami ashi (sweeping kick) from Tekki shodan kata - whilst pushing against the wall with one leg, (still using your arm as support) try the kick with the other leg. Then practice the same exercise without using wall. If you are doing it correctly your body (torso) will not move, it will stay centred (see photo opposite for a perfect example from Sensei Omura) because you are using correct outside leg tension. Keep the idea of pushing apart the legs and you will be using the muscles on the inside and not just the outside of the thigh. This takes away a lot of pressure on the knees, which can only be good with regard to protecting the knees from injury. If you can now FEEL this outside tension in your kiba dachi stance then all you have to do is make a mental note of this 'FEELING' which is exactly the same for the other two basic stances, but a bit more difficult because of the weight being either forward or back but the 'feeling' is exactly the same! Your legs should feel as if they are like springs waiting to expand and explode in any direction. OMURA Sensei's 'fantastic' Nami ashi from Tekki Shodan. A perfect example of 'outside tension'. Here is where the wall will really help you to get the feel for outside tension in forward stance. Again it is most important to tuck in the tailbone and tighten the buttocks - Make your forward stance close to the wall, punching the wall or you can use a flat hand or whatever.Then simply let go and lift your front leg as in the photo opposite (left). You should feel as if all your weight is driving into the wall and push hard into the floor with your back foot especially the heel. Don't raise the shoulders or lean from the shoulders, push the hips forwards. Change legs and do the same exercise. This then is the FEEL of the back leg in forward stance! So, focus hard on this 'feeling'. Here is how to get the feel of what the front leg should be doing in forward stance, which is slightly more difficult. Every so often if you are struggling, go back to kiba dachi for the general 'feel' of outside tension or relate to the photo (left) get this feeling in both legs at the same. Face 'away' from the wall, about forward stance distance away. Make your front leg as close to your normal front stance as possible then push back into the wall as hard as you can with your back leg, like a low back kick into the wall. You must really push back hard with the front leg and all your front foot. As if you are trying to push the wall over! Change legs and do the same exercise. Make a mental note of the feeling because only you can feel it. A teacher cannot 'give' you this feeling only 'you' can feel it. Now try your forward stance normally and think of putting together the feeling from the back leg together with the front leg feeling and you will have a really good outside tension in your forward stance and feel rooted to the floor and your body pressure down and into the ground - legs spring loaded ready for action. Combine the two feelings and it will change your stance. It will be far more stable and techniques delivered from such a stance will carry more power. Remember what Sensei OSAKA said in the last issue about making solid contact with the floor and every time you move from stance to stance you should feel as if you are taking the floor with you! This is the FEEL they are talking about but which has been so difficult for the Japanese instructors to explain to us. This is the same 'feel' exactly as the other two but possibly the hardest to master. Make back stance close to the wall (facing away). Simply lift the leg (back leg) and push back (this will now have to be your body - shoulder, upper arm) into the wall with the front leg, like pushing a car. Change legs and do the same. This gives you the FEEL of outside tension for the front leg in back stance. Then make your back stance (facing in) and lift the front leg and push into the wall and floor (using your arm against the wall as before, as in the photo) with your back leg (in back stance position). It is the same feeling for all three stances. Then try putting the stance together using the feeling of the back leg and the feeling of the front leg. You should be getting the feel and idea by now. You should feel like you have really solid contact with the floor. If not, then you know the old saying....Just keep practicing! Kata is the ideal vehicle to practice this feel of outside tension in the basic three stances but don't rush your kata make sure you complete each stance utilising this feeling before you move off to the next stance. Again, I advise you to re-read OSAKA Sensei's statements in the last issue regarding stances and kata. The idea is to combine the two feelings of both legs when you are doing your stances. You will and should feel different, more solid and have a better 'connection' with the floor and a very 'springy' feeling in your legs.This is just one idea for trying to get the feel of outside tension. I sincerely hope that it is of some help to you, I know it has been to me, I'm a karate student too! Shotokan Instructors who are looking deeply into their karate for more than just what karate techniques 'look' like, should consider equally and most importantly, what karate techniques should 'feel' like.